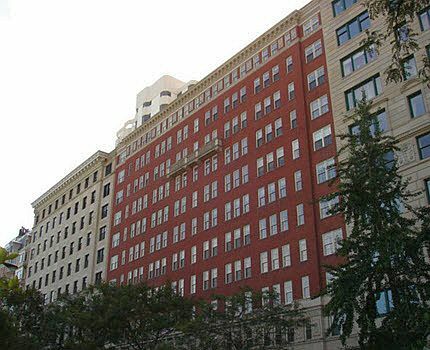 Here are the 219 E Lake Shore condos for sale and rent in Chicago with their location, building and apartment information. Schedule a showing online. The building has 2 and 3 bedroom units. According to the floor plan in Baird & Warner’s “A Portfolio of Fine Apartment Homes”, 219 E Lake Shore Drive originally consisted of 1 and 2 bedroom units. Each had 2 maid’s rooms and 1 maid’s bathroom behind the kitchen. Cooking appliances are gas. 219 E Lake Shore Drive built in 1922 has 12 stories with 27 units (originally 44). It was designed by the architects, Fugard & Knapp, who also designed 189 E Lake Shore Drive and 229 E Lake Shore Drive. The building is staffed 24 hours with a door person. It has storage and a bike room. The building also has a garage. One pet is allowed. 219 East Lake Shore Drive is located in Chicago between North Lake Shore Drive and Michigan Avenue just south of Oak Street Beach. Shopping on Oak Street and the Magnificent Mile on Michigan Avenue are just 1 block to the west. Chicago’s Lakefront is just across North Lake Shore Drive. Its Walk Score is currently 89 and its Transit Score is 73. It’s Bike Score is 52. It’s half a mile from the Red Line at Chicago & State. A Divvy bike sharing station is just at the west end of the block. East Lake Shore Drive is considered to be part of both the Gold Coast and Streeterville neighborhoods in Chicago’s Near North Side.